2) In a medium bowl, mix flour and salt. Whisk yolk into soda water in a 2-cup measure until blended; pour over flour mixture, and whisk to gently combine (the batter should remain slightly lumpy and should have the consistency of heavy cream). 3) Place crabs in batter one at a time. 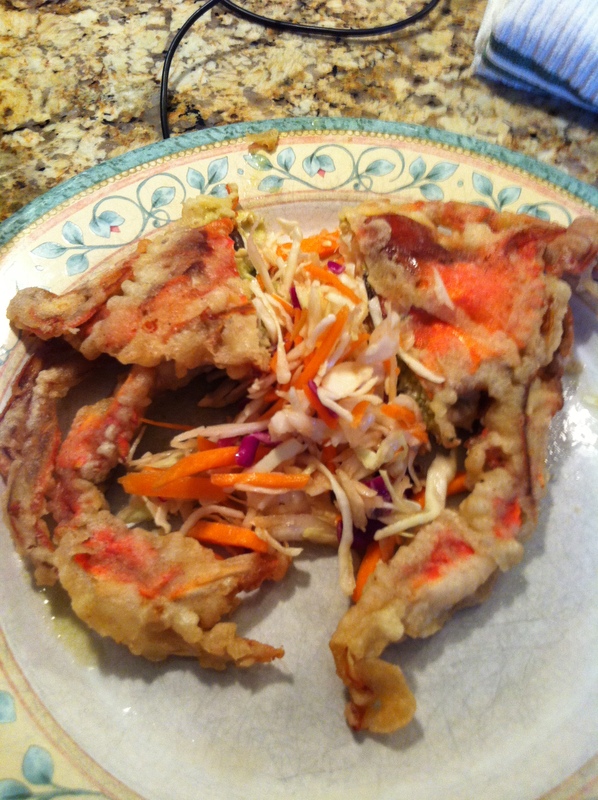 Let excess batter drip off crab then fry for one and a half minutes per side or until golden brown. Place on paper towel to soak up any oil. Place in oven until ready to serve.